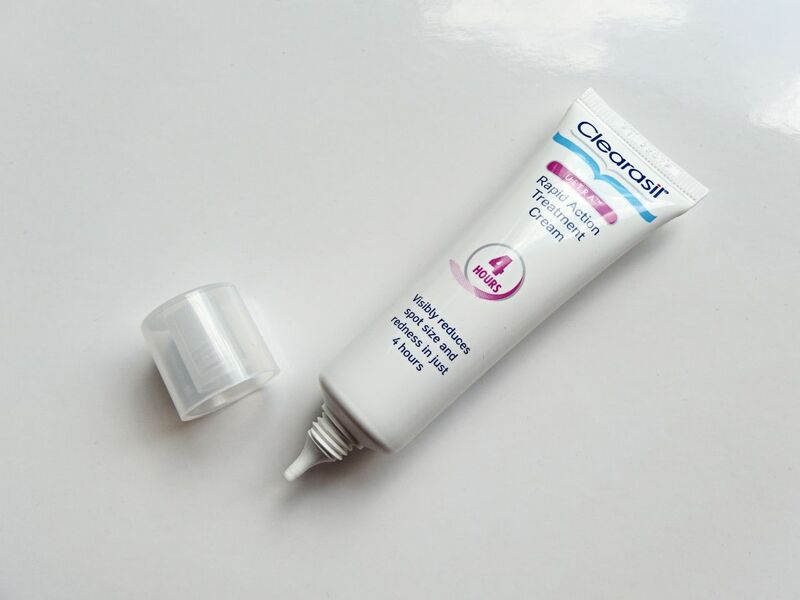 Clearasil Ultra Rapid Treatment Review - Reduces Redness & Size in 4 Hours! 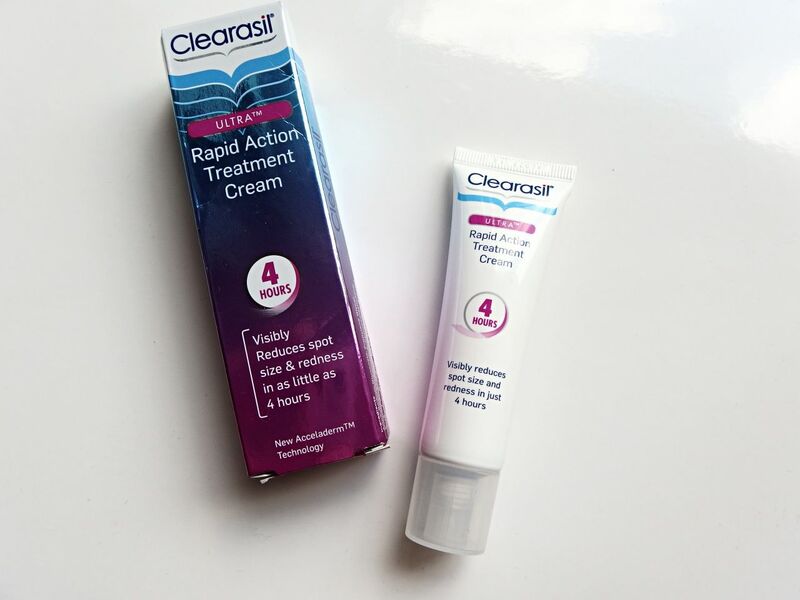 When I recently spoke to celebrity facialist Nus Shugaa about her tips for in-flight beauty she mentioned using Clearasil’s Rapid Action Treatment cream on all her celebrity clients at The Oscars and BAFTAs and how they all loved it, so I was very eager to try it and see if it lived up to the hype. I’m not prone to lots of spots but when I breakout, they are really not the nicest spots you have seen, big and red is what comes to mind! The Rapid Treatment claims to reduce spot redness and size in as little as 4 hours. It is packed with spot fighting ingredients to work at maximum strength and penetrate your pores. I tend to get spots most likely on my forehead, bang right in the middle or round my chin. 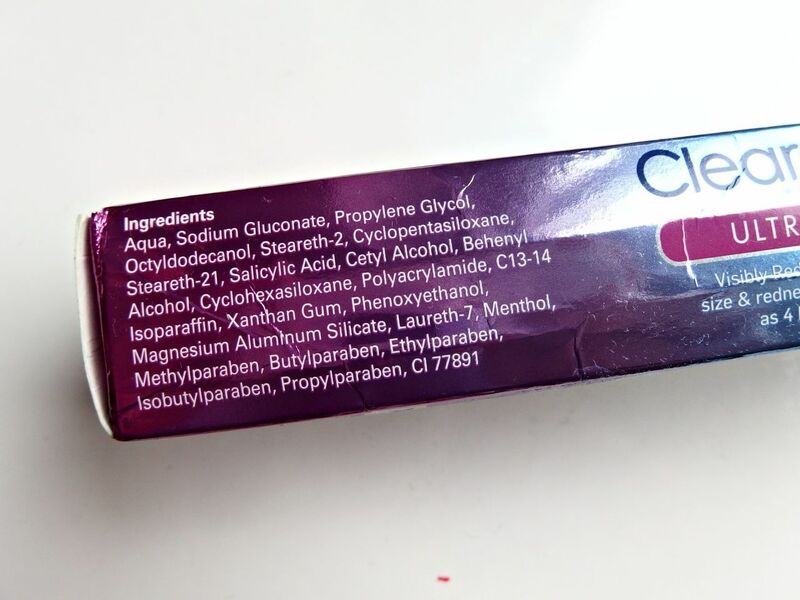 Luckily or unluckily when I received this product to try, I seemed to have lots of spots coming up so it was the perfect time to try it out and try to get rid. The product itself comes in a small tube and has a thin nozzle so you don’t over apply when you squeeze it out. 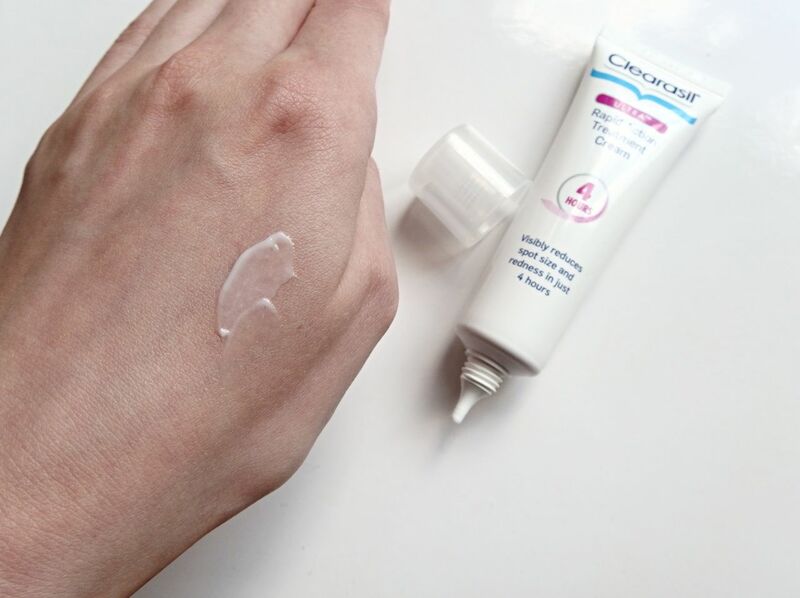 All you need to do is apply a small and thin layer to the directed spots with your finger or a cotton bud and then wait. The feel of the product is like a very thin cream, it isn’t greasy and dries in pretty quickly. Now this won’t completely take away your spot straight away, that’s called a miracle but it will reduce the redness and the size of the spot. After I applied this it definitely had reduced redness and the next day they were much smaller and starting to dry up. They were on their way out, hurrah! I really didn’t know what to expect with this product as I have never really came across something that got rid of my spots, so I must say I was mega impressed with this. I think if you suffer from breakouts this will work really well for you and at £6.39 it’s a bargain, get yours now from Boots.